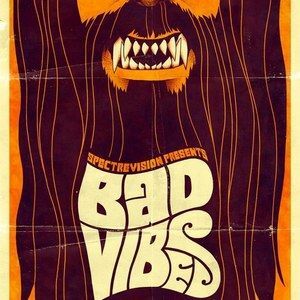 Avant-Garde rock musician Ariel Pink will compose original music for the upcoming SpectreVision production of Bad Vibes, a werewolf tale set in the psychedelic '60′s music scene. Produced by SpectreVision partners Elijah Wood, Daniel Noah and Josh C. Waller, the film will be directed by David Gebroe (Zombie Honeymoon) from his original screenplay. Joining the SpectreVision trio is John Landis as Executive Producer, marking his return to a genre he redefined with his classic An American Werewolf in London. Here's what John Landis had to say in a statement. "Based on the impressive slate of genre films that Elijah Wood and SpectreVision are producing, I am very excited that David Gebroe's clever and scary Bad Vibes has found the perfect home." Bad Vibes is set in the psychedelic rock scene of the late '60′s, where Sunrise Majesty is at the top of the charts with their message of 'free love' for all. But after an encounter with a strange groupie, bandleader and mastermind Max Cassidy is left with a gift that can't be cured with a shot of penicillin. Max has been touched with the curse of the werewolf, transforming him into a dark and brooding nihilist whose new sound is almost as disturbing as his new plan: to hold a huge love-in at the band's ranch where he and the group will infect all their fans, unless Cynthia, Max's girlfriend and the last untouched member of the band, can stop them. For musician Ariel Pink, this will be his first foray into the world of film. Here's what he had to say in a statement. "The script totally blew me away with its horrifying revisionist take on the Sixties. It's like a bizarro-world chronology of free love, dark psychedelic music and permissiveness gone hog-wild. My fans will get to hear a side of Ariel Pink's Haunted Graffiti that no one's ever heard before, and that couldn't be more inspiring to me creatively." Born and raised in Los Angeles, Ariel Pink has recorded over 500 songs, and has toured the world, both as a solo artist, and with his band, Ariel Pink's Haunted Graffiti. Their current album is Mature Themes. Casting for Bad Vibes is currently underway.